If you suffer from asthma, how to cure asthma has probably been a life-long pursuit. How to cure asthma is something you can’t stop thinking about. What could be more frightening than knowing that at any random moment you could be struck with an asthma attack? Once it happens, you suddenly can’t breathe. You have absolutely no control. The word ‘helpless’ comes to mind. Asthma affects every aspect of life for the sufferer. It has an impact on playing sports and other physical activity. It affects employment, interaction with others, even sleep. It is inconvenient, embarrassing and limiting. And it kills 250,000 people worldwide every year. There hasn’t been much success with how to cure asthma. Perhaps because of it’s widely varying causes. Asthma can be caused by either an emotional or a physical condition. Here is what happens during an asthma attack. During an asthma attack, the bronchial tubes, which carry oxygen in and out of the lungs, tighten. The flow of air coming into the lungs is reduced. Airways become inflamed and lined with mucus. The severity of attacks vary. They may come on many times in a day. They may appear suddenly after a length of time has passed. The World Health Organization acknowledges that “reduced activity levels” and “school and work absenteeism” are usual side effects of asthma. 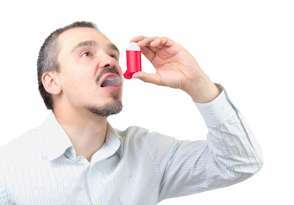 You can avoid asthma triggers as much as possible. But you can’t stop mold from sending it’s spores floating through the air. You can’t steer clear of every stressful situation. So you do the next best thing to an asthma cure, inhale from your nebulizer. Sometimes even the prescribed medications for an asthma sufferer can be just as dangerous as the asthma. Medications are not a cure for asthma. They offer a temporary solution to breathe again during an attack. Many asthma sufferers rely on their medication to keep them safe. But what if you forget your medicine? What if you have an attack and your inhaler is empty? Triggers must be avoided as much as possible. But it is impossible to avoid every trigger, all the time. Alternative natural remedies for asthma therapy are becoming more popular as a cure for asthma. Alternative therapies are not meant to replace medical advice. 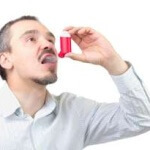 Fast-acting medications are often, but not always required for an acute asthma attack. Hypnotherapy can be an effective tool in your quest for how to cure asthma. Using hypnosis, you can treat the emotional aspects of an attack. Feeling afraid because your air supply is being cut off is instinctual. Fear and nervousness will only make the attack more severe. The stress of worrying about an attack coming on can actually bring on an attack. These emotional reactions can be brought under control using self-hypnosis. 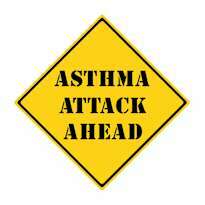 Most people can sense when they are about to have an asthma attack. Hypnosis can often be used to abort an impending asthma attack. With a trained, professional consulting hypnotist, you can slip into a relaxed state. Once there, you can take control of your body. Hypnosis is used to abort an impending asthma attack and reduce the amount of medication necessary to ward them off. You will become much more relaxed overall with hypnosis treatment. And reduce the severity and frequency of attacks. Learn how to cure asthma by preventing it, through specialized techniques and post-hypnotic suggestions for allergies and asthma. Many of my clients and their children have had excellent results using my hypnosis techniques. It is impossible to consciously eliminate asthma. My hypnosis program was created to interact with the subconscious. Ericksonian Hypnotic Metaphors are used in the program for relaxation. A metaphor is used to create and deepen your relaxed hypnotic state. After you are relaxed, the metaphor directs your unconscious mind. The unconscious mind is instructed to calm the consciousness when an attack is oncoming. No willpower is needed. In fact, willpower cannot be used to abort an attack. Hypnosis is a technique that triggers the healing process. How to cure asthma attack comes naturally and automatically from within the unconscious mind. Asthma suffers can actually learn how to abort an asthma attack. Through hypnotic techniques, you can relax your diaphragm, release constricted airways, and get breathing back to normal quickly. Neuro-Linguistic Programming (NLP) consists of an amazing set of techniques. The NLP “Flash” technique can be used to flip things around in the unconscious. Your brain can be programmed to trigger relaxation, instead of feelings of stress that would normally bring on an attack. With another NLP technique called the V/K, you can mentally step outside of yourself to remain calm in any situation. Felicia R. wanted to know how to cure asthma with natural remedies for asthma. She purchased the “Ah! I Can Breathe!” NLP and Hypnosis Audio Program online. She reports experiencing a big change after only listening once. She began listening to the CD’s every night on repeat. Felicia is well on her way to an asthma cure using hypnosis and Neuro-Linguistic Programming. Asthma Got You All Choked Up? 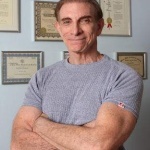 Alan B. Densky, CH is an NLP Practitioner and an NGH certified consulting hypnotist. He has created a highly effective 6 session Hypnosis Asthma Treatment Program on CD’s. 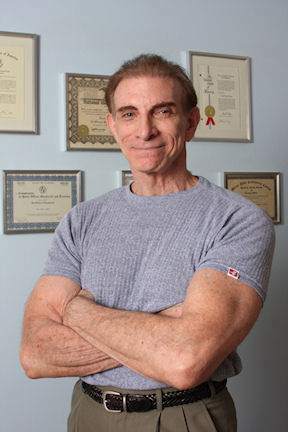 His Neuro-VISION Hypnosis site features an exceptional hypnosis article library. This entry was posted in Allergy Hypnotherapy. Bookmark the permalink.